In its first U.S. tour in more than 14 years, a Japanese senior citizens group visited Orange and Chatham senior housing communities last week before heading north to see more options in Washington, D.C. The Japanese Foundation for Senior Citizens delegates visited a a house in Carrboro designed by architect Jason Hart of CUBE Design + Research that helps homeowners age in place, as well as a nursing home, Signature of Chapel Hill, and several wellness centers at local continuing care retirement communities (CCRCs). They also toured Carolina House, an assisted living center in Chapel Hill, and Charles House-Winmore, a private-pay eldercare home in Carrboro. The group held discussions at senior centers in Chatham and Orange counties and the Pittsboro branch of Piedmont Health SeniorCare (PACE), whose five county centers serve seniors living at home in Alamance, Caswell, Chatham, Lee and Orange counties. The Chatham County Senior Center presented a talk by attorney Mark Shelburne of the N.C. Housing Finance Agency, who explained how the federal Low-Income Tax Housing Credit is the largest and most successful affordable housing program in America – having provided 2.4 million senior housing units to date and adding an additional 100,000 units annually. The foundation’s president, Hiroshi Takahashi, and his assistant, Reiko Ogawa, led the group of 17 participants, which included housing industry leaders, professors of Toyo University, the International University of Health and Welfare, and Kintetsu International, a world leader in travel, freight and business technology. 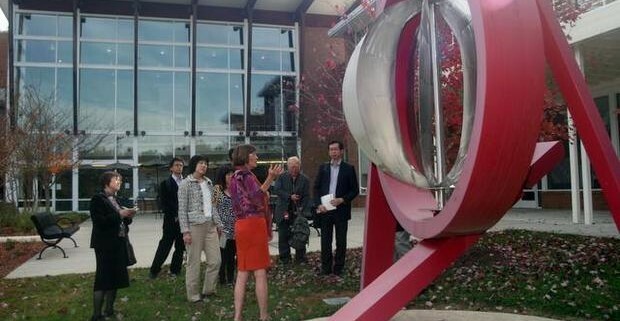 The visit was facilitated by Chapel Hill residents and stateside Foundation members Richard Crume and his wife, Yoko Sakuma Crume, an expert in aging research and policy. The group held working lunches with local leaders in senior housing at Galloway Ridge, Carol Woods and The Cedars at Meadowmont. At last Wednesday’s lunch, Bob Woodruff, president and CEO of The Cedars, and Krista Lemery, administrator of Home Care and Clinic at The Cedars, sat with Takahashi and Mika Yamamoto, a professor of social work at Toyo University. They agreed that food was one of the most important aspects of senior care because aging decreases a person’s sense of smell and taste, which are integral to the enjoyment of food. They noted that population demographics and industrialization/modernization are driving forces in both societies, with the historical American system of families taking care of elders collapsing earlier than Japan’s. That’s why, Woodruff said, the United States has so many CCRCs now. Takahashi said there are no places like The Cedars membership program in Japan, but the Japanese are starting to implement a program that identifies where older people are living and then tries to provide elder care services there as it provides services for other generations, too. He described one Japanese village where small houses are clustered around a community house that provides day care for people of all ages – children, adults with disabilities and mental/cognitive health issues – run by volunteers but supported by nurses, psychologists and other health-care professionals. The community house includes a traditional shrine to spark the sharing of memories and to reminisce about the past. The challenge to having places like The Cedars, Carol Woods and Galloway Ridge in Japan is affordability, because the cost of land is so high, Takahashi said. The Cedars at Meadowmont is spread over 47 acres. The Japanese government is worried about escalating costs of long-term care insurance and other social programs because the number of older adults continues to increase, just as it does in the United States, but without the immigration of young workers the United States enjoys. On the upside, providing senior care benefits allows different sections of the economy – for-profit and non-profit – to grow, Takahashi said. Japan has a universal medical health insurance program which covers all but 2 percent of the population. That 2 percent is covered by a welfare program, much like Medicaid in the United States. The universal long-term care insurance program is unique in the world with only five or six other countries providing such care, but it does require everyone who is able to pay into the system, just as they pay into Japan’s universal health insurance program. A care manager works with the client, their family and health-care providers to choose one of five levels of care. The upper level of care provided by long-term care insurance is capped at $3,500 per month. 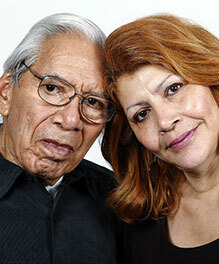 Long-term care insurance pays 90 percent and the individual has pays 10 percent. Japan’s health-care provisions – the Welfare Act of the mid-1960s and the 2000 Long-term Care Insurance Act – has helped Japanese women live the longest of any country; and Japanese men live to average age of 85, Takahashi said. During a presentation at the Seymour Center, Takahashi said important questions the group is trying to answer are: Are our seniors having a successful aging experience? How should care be provided? How do we deal with people living alone? How should we help people maintain a high motivation to live?